In 2017, ransomware attacks found their way to mainstream media via the infamous WannaCry attacks. While many hoped that would be the end of such exploitative attacks, 2018 proved to be another year where ransomware attacks captured headlines and seriously impacted thousands of people. The SamSam attack that hit the city of Atlanta brought many operations to a screeching halt and impacted an estimated 6 million people who rely on city services. While this may have been the most publicized attack that took place in the United States this year, it’s important to remember that small and midsize businesses (SMBs) are feeling the wrath of ransomware all the same. Many attacks go on unreported, and are affecting the livelihood of people who have worked hard to build their businesses and simply can’t afford the downtime ransomware brings. At Datto, we wanted to better understand the impact ransomware is having on SMBs. To do that, we surveyed over 2,400 managed service providers, or MSPs, around the world and published the findings in our annual State of the Channel Ransomware Report. This report provides a wealth of detail on ransomware, including year-over-year trends, frequency, targets, impact, and recommendations for ensuring recovery and continuity in the face of the growing threat. Going into 2019, it’s important for MSPs to share with their clients the most recent ransomware trends. From our research, we’ve learned that the cyber threat doesn’t seem to be slowing down any time soon. From Q2 2016 to Q2 2018, 79 percent of MSPs reported ransomware attacks against clients. Further, 92 percent of MSPs predict the number of ransomware attacks will continue at current, or worse, rates. In the first half of 2018, an alarming 35 percent of MSPs reported that clients suffered multiple attacks in a single day (up from 26 percent, year-over-year). Apple ransomware attacks are growing. The number of MSPs reporting OS/iOS attacks is up nearly 500 percent from 2017. MSPs rank phishing emails as the top ransomware delivery method, followed by malicious websites, web ads and clickbait. The cost of downtime is 10 times higher than the ransom demanded per incident. MSPs reported the average requested ransom for SMBs was about $4,300 while the average cost of downtime related to a ransomware attack was about $46,800. 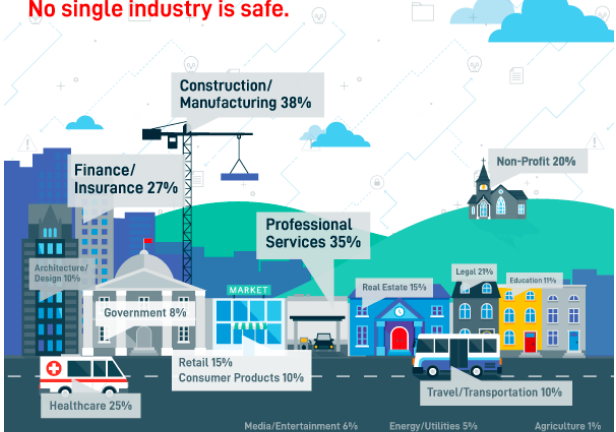 Looking ahead to 2019, MSPs and SMBs need to work together to combat this threat. The MSPs we surveyed ranked business continuity and disaster recovery, or BCDR, solutions as the No. 1 solution to avoid downtime. In addition to BCDR technology, SMBs should work with their MSPs to create a ransomware response plan that includes steps around detection, communication, cause assessment, recovery and prevention. The entire report features new statistics and forecasts on ransomware and its impact on businesses, the leading variants, targets of these attacks, best practices for ransomware protection, and more. To learn more, you can download Datto’s Global State of the Channel Ransomware Report, here. Rob Rae is Vice President of Business Development, Datto.